It takes a long time to get to the point where you realize your drug or alcohol dependency is a problem. Yet when you realize you need help, how do you know what kind of treatment center is best for you? You’re already in an uncomfortable place in your life and let’s face it: you may not even want to quit, you just know you need to. For many people, the right rehab is going to be a place which offers a relaxing environment where they feel comfortable exposing all their secrets, and releasing the demons which plague them. If you or a loved one could benefit from a peaceful environment which offers the Earth’s beauty as part of the healing process, then a Malibu rehabilitation center is an ideal choice. Malibu rehabilitation facilities are going to be structured like many other clinics when compared to the basic treatment plan structure offered by rehab centers. They will offer detoxification and individual assessments as well as individualized treatment plans to get you – and keep you – sober. It may range from psychiatric treatment to various types of therapies and counseling sessions, and they will always address any co-occurring disorders (like depression, anxiety, eating disorders, etc.). Of course, there will be family counseling when necessary, as well as the widely accepted 12-step program which has a proven track record of success. What’s different with Malibu rehabilitation centers compared with others is their surroundings. A rehab facility can change always improve its staff and treatment plans, but a physical location just can’t be changed. 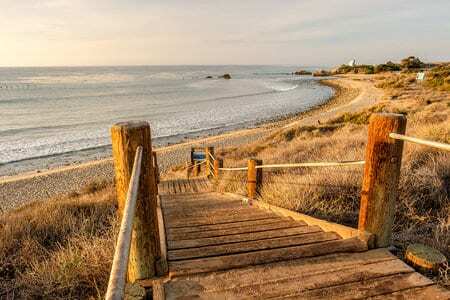 Malibu is one of the most naturally beautiful places on earth, and with the Pacific Ocean as one of its built-in features, it is a prime place for a patient to find relaxation, re-build their life, and search their soul. In addition, the relaxation activities designed to help addicts reduce stress and re-focus are enhanced by the patient simply stepping outside their door and taking in a steady, deep breath. Wouldn’t you love to watch the calming movement of the ocean as you take your life on a whole new path? Just as the ocean is lovely, dark and deep, so is every person who makes the decision to subdue their addictive tendencies and get sober. The qualified professionals at Malibu rehabilitation facilities know this, and they can provide you with your own personal treatment plan to get down into the depth of your problems, and return you to being a powerful and positive force of life. The ocean, the fresh air, and the light breezes are a constant reminder that although life is complicated, its possibilities are infinite. Don’t let addiction destroy you; we’re here to help you fight your battle against addiction. Our professionals found at Seasons Malibu have the right environment, experience, and resources to aid you in your healing and recovery process. We can help you become strong, sober, and whole once more, while also rooting out your underlying issues which caused the addiction in the first place and teach you how to best keep from a relapse.